Macmillan Coffee Morning. Thank you for helping us raise so much money. Harvest Celebration 2015 - Lots of goodies for the Plymouth Food Bank. Thank you to all our families for their generous contributions. Simon Giarchi came to see us today to tell us all about how Fairtrade helps farmers in many parts of the world to make a better living for themselves and their families. He looked at our wonderful posters and gave us a present of a huge inflatable banana which Mr Hanrahan eventually managed to blow up! He needed lots of puff! 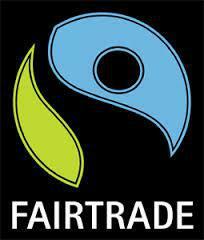 The banana is now hanging up in our school and reminds us to support Fairtrade. ​This year we donated lots of food to the Plymouth Food Bank. We wanted to help people in our local community who aren't as well off as we are by sharing our food with them. We do this because God asks us to look after others and to care for our neighbours. It makes us feel good to help those in need and it makes God happy too. Raising money for Derriford's GOLD-DUST appeal, in memory of Mrs Norris. We made and sold cakes and biscuits, each class took a different book as inspiration. Mrs Norris loved books....and shoes! 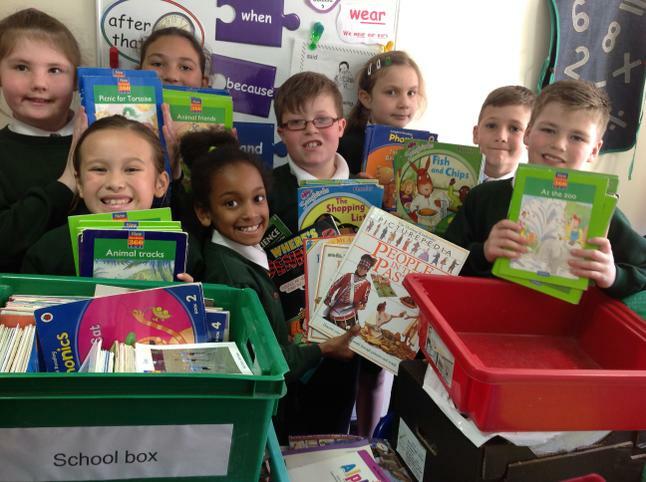 We donated old books to The Orchard school in The Gambia. 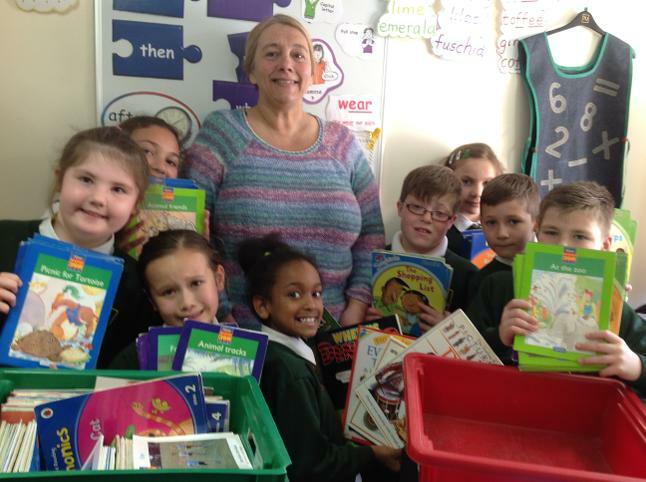 Debbie Williams came to school to collect them.